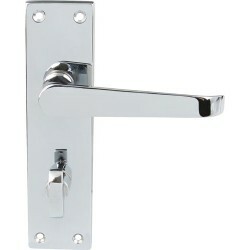 Pair of door handles with a polished chrome finish on rectangular backplate. Backplate dimensions: 118mm high x 41mm wide. Sprung, for use with standard duty followers. 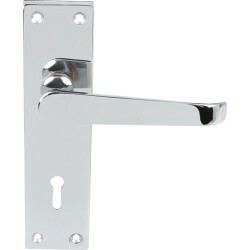 Supplied with a plain 8mm spindle and fixing screws. 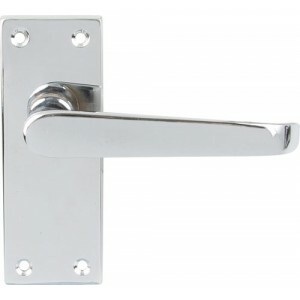 To suit internal doors up to 44mm thick. Please note there is ±3mm tolerance on dimensions.